If I may say so myself... this project rocks!! My dear friend is getting married, and I've been checking her Pinterest board for gift ideas as the date approaches - and I went to her bachelorette lingerie party the other weekend. Rather than get her lingerie, since I knew she'd be getting a lot of that from everyone else, I wanted to make her the perfect accessory that she'd pinned an example of! She had pinned this delicates clean/dirty laundry bag, from Gap Outlet a while back, although there are similar ones online (like this and this). She's spending two weeks in Italy for their honeymoon - lovely, right?! - and wanted this for traveling. But it's not sold online, and I figured I could make one for her!! This is my friend Alyssa, who I've talked about before in Sewing with Friends, and who is very sweet and knows how to sew herself - so if I was going to make her something, it had to be really cool! So I did a little thinking and designing, and pulled out my Silhouette machine and heat transfer material, and created something just for her! I made another one for myself, too, for you to see in this tutorial! 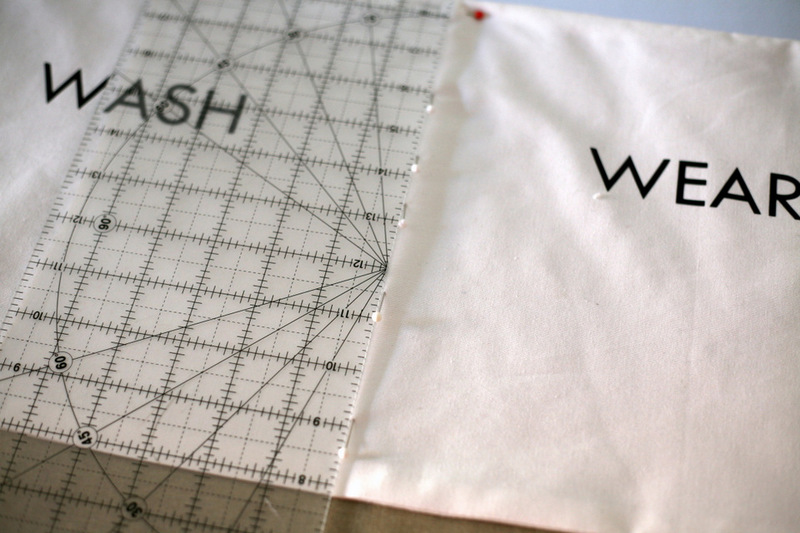 This tutorial will help you create a 20" x 12" double-zipper laundry sorter bag. 1. 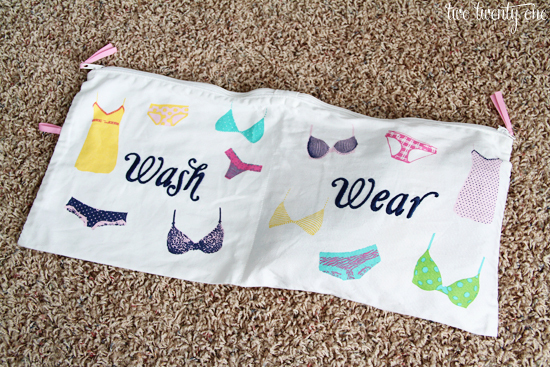 Pre-wash the fabric. 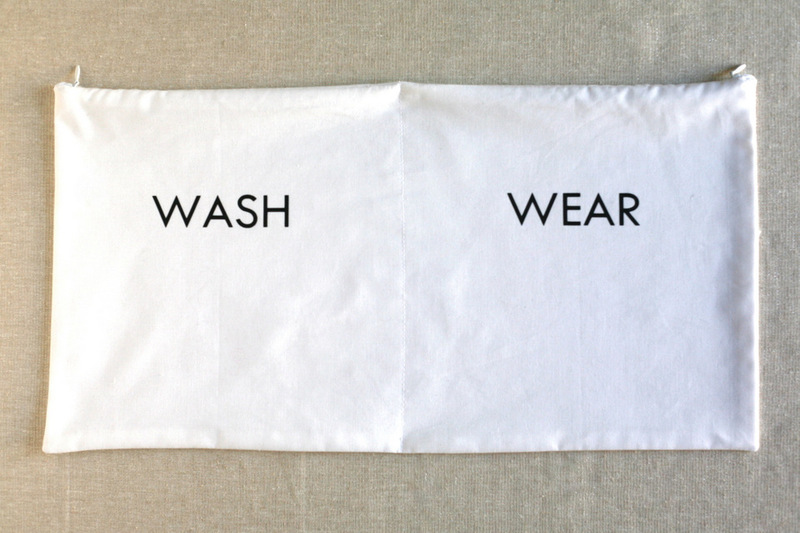 This is super important if you're using 100% cotton, since it will probably shrink the first time you wash it and you definitely want the bag to be washable without changing size or straining the letters. Cut front and back pieces. 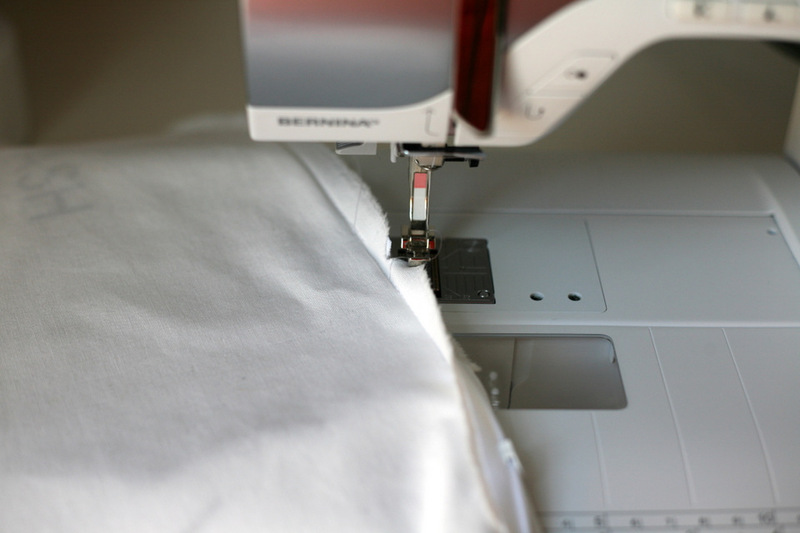 Mine were 13"x23", allowing for 1/2" seam allowances. 2. Design text! I used a Twentieth Century MT in the Silhouette Design Studio. 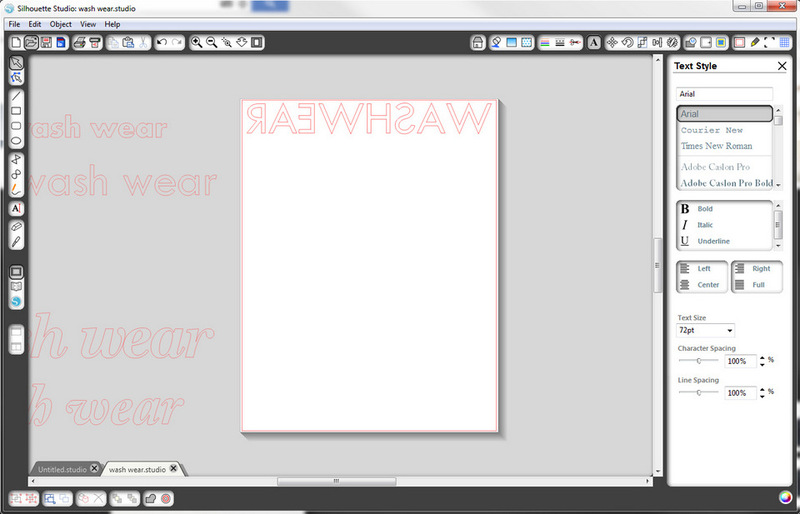 You can adjust widths, spacing, etc. - it probably would have looked cool to space the letters out on mine.. oh, well! Make sure you flip the design so it will print backwards and transfer correctly. Load the heat transfer material and hit "Cut"! Peel the negative space out of the design. 3. Find the center of the bag pieces, as well as the left and right side centers. To find the true center, fold pieces in half. 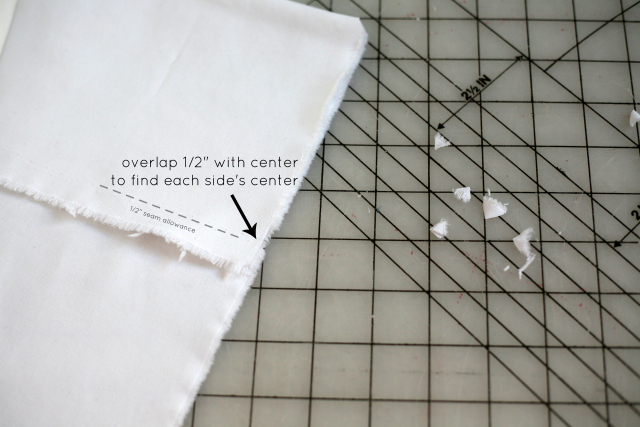 To find the left and right side centers, fold the sides back toward the true center but overlap them 1/2" because there will be a 1/2" side seam. 4. 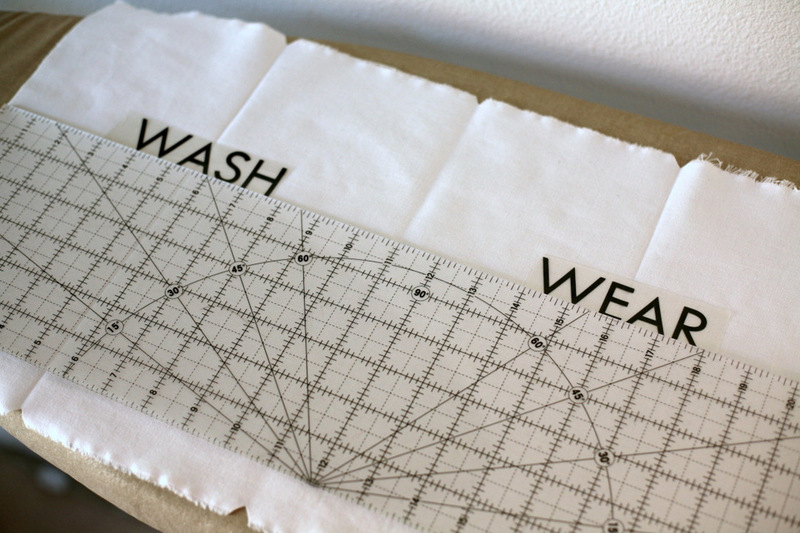 Line up your text using a big quilting ruler or other large straightedge. I centered mine on the center lines of each side. The plastic side of the heat transfer material is light a heavy sticker, so it will stay in place once you line it up. 5. 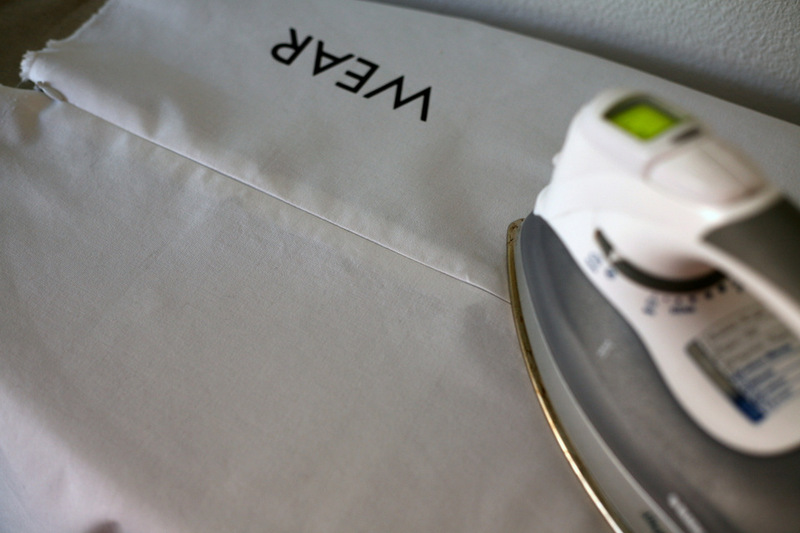 At the ironing board, with a press cloth, iron the letters down hard and for a long time. Let the plastic cool a tiny bit and slowly peel off the backing. 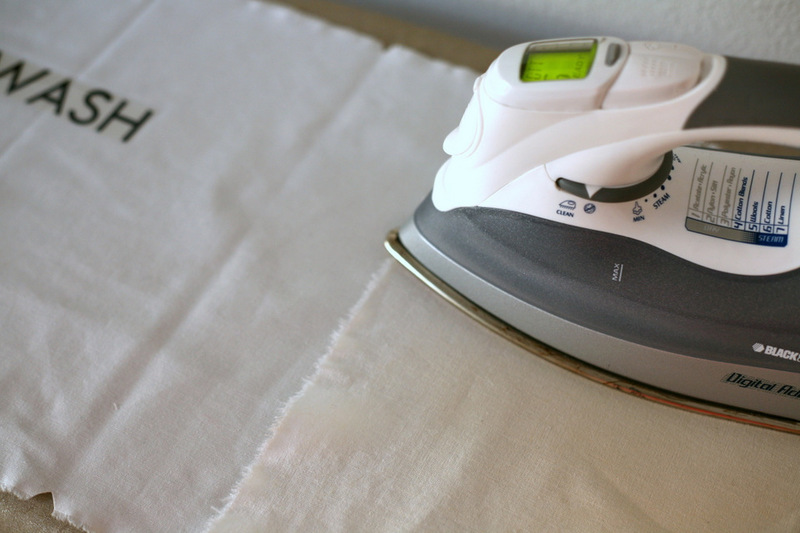 I ironed even a little more after peeling off the plastic, still with the press cloth, to make sure the letters fully merged with the fabric! 6. Assemble the bag. Install the zipper. (If using an invisible zipper, check out my "no tears, no pulling out invisible zipper method tutorial"!) Leave about a 3/4" gap at the very center where the zipper ends will meet. 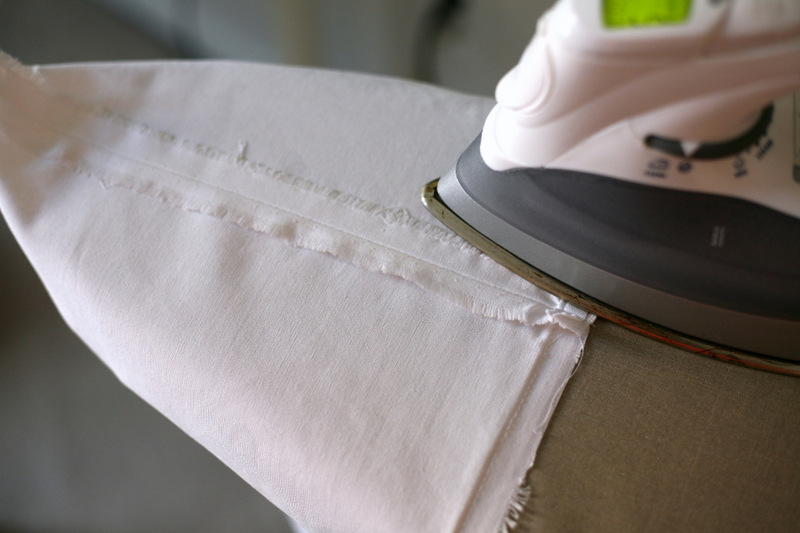 At the center, carefully cut the zippers so they meet but don't overlap and create extra bulk. Press. 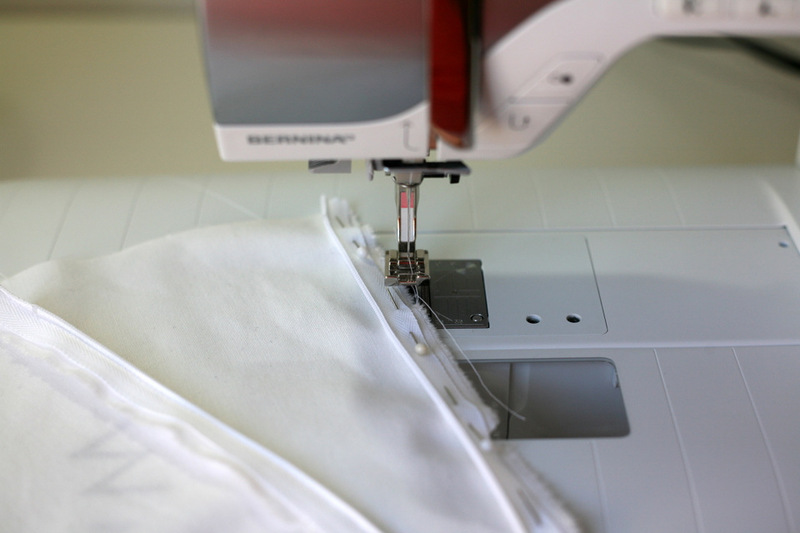 With a zipper foot, sew the 3/4" gap at the center and between the zipper seams closed. 7. Finish assembling the bag. 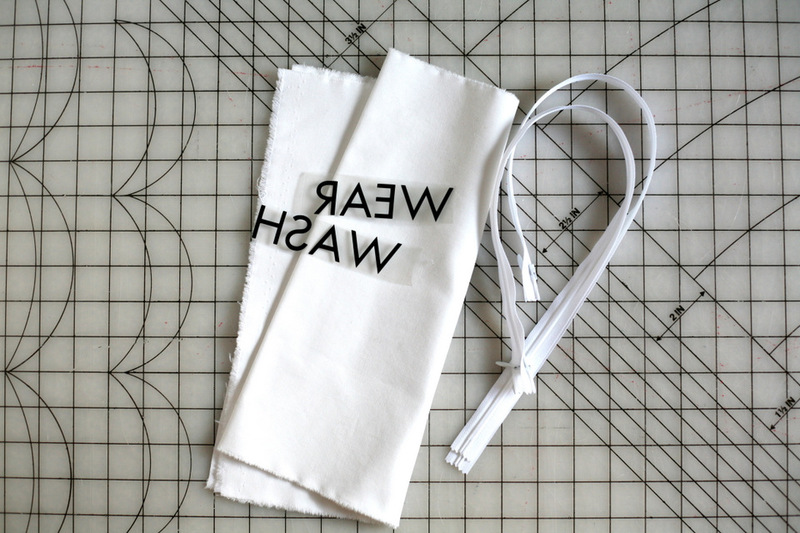 Sew the side seams and bottom seam and trim the bottom corners. Press seams open. 8. 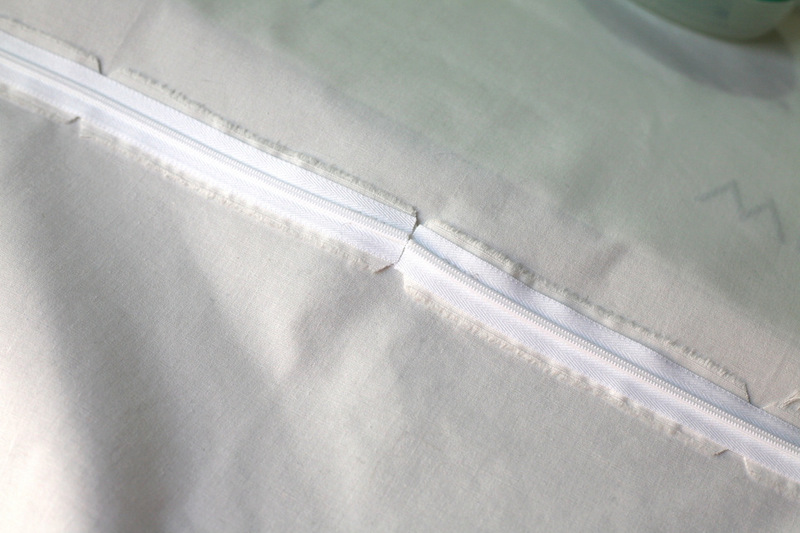 Sew the center (dividing) seam. 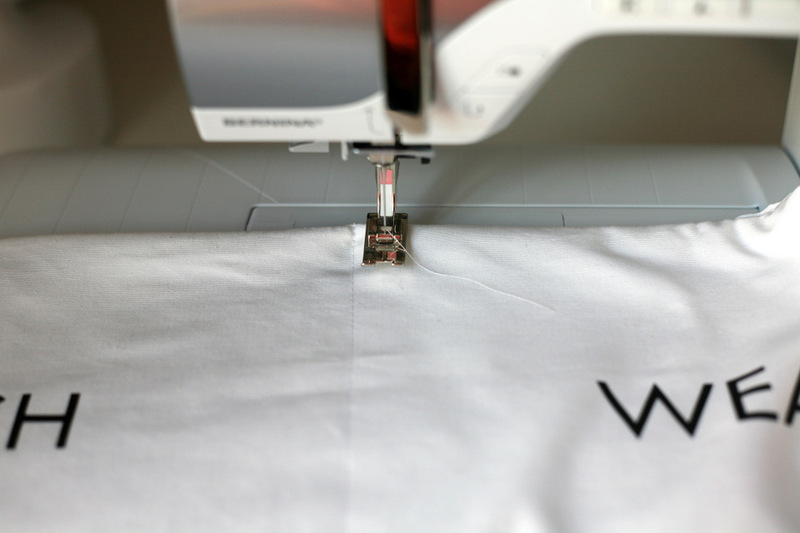 Turn the bag right side out and carefully mark (with pins, fabric pen, or chalk) the center line from top edge to bottom edge so you know where to sew to make a straight line. I also topstitched the zipper ends flat on either side to keep them from flipping out. Optional! Here's the one I made for my friend! 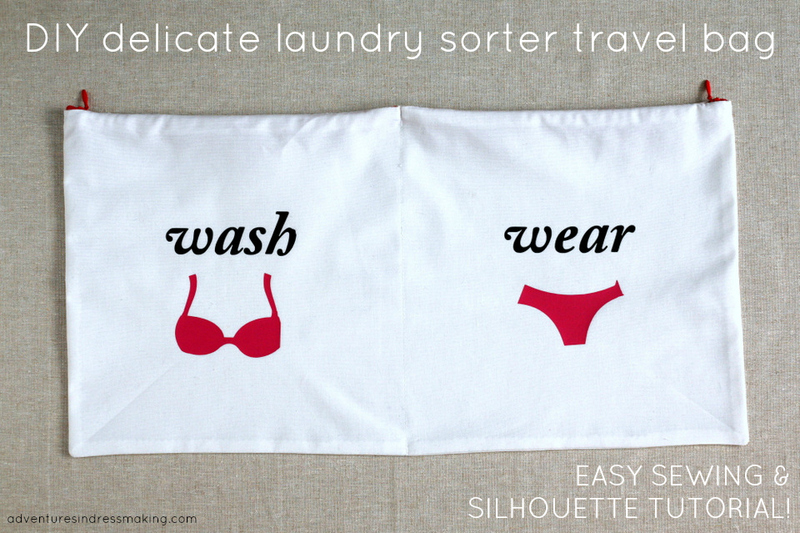 If you want to try it at home, check out the heat transfer material here and use your 30% off reader discount on it at SilhouetteAmerica.com until TODAY, July 24! Use code DRESS at checkout! Love this! I had the same thing pinned a few weeks ago and had it in the back of my head that I should figure out how to make one. Thanks for doing the legwork for me, adding to the "to make" list now. And what a great gift for a bachelorette party! This is such a lovely idea! Homemade, personal things always make the best gifts. Awesome! I think this makes a perfect gift! CUTE! 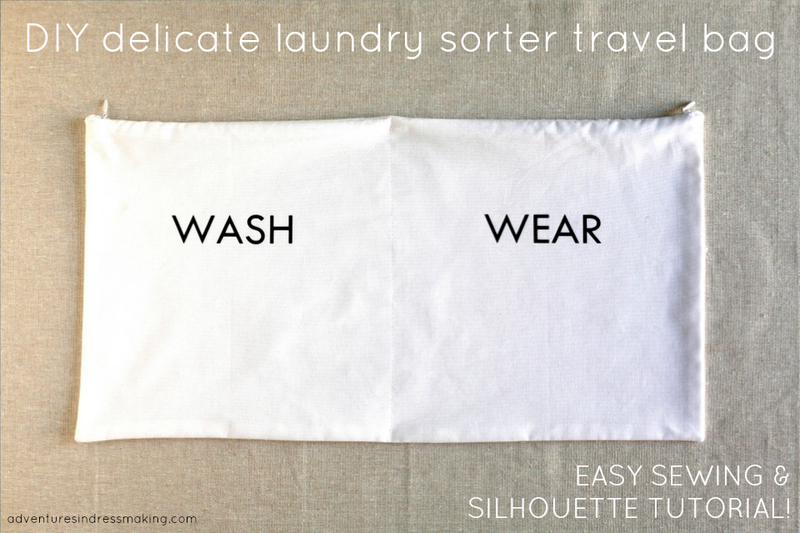 Such a simple and easy idea for traveling or even a quick overnight trip. It's also could be a fun gift for house guests. This is a neat idea, thank you for the tutorial. It is great for traveling. I'm loving this silhouette machine, oh the possibilities! !